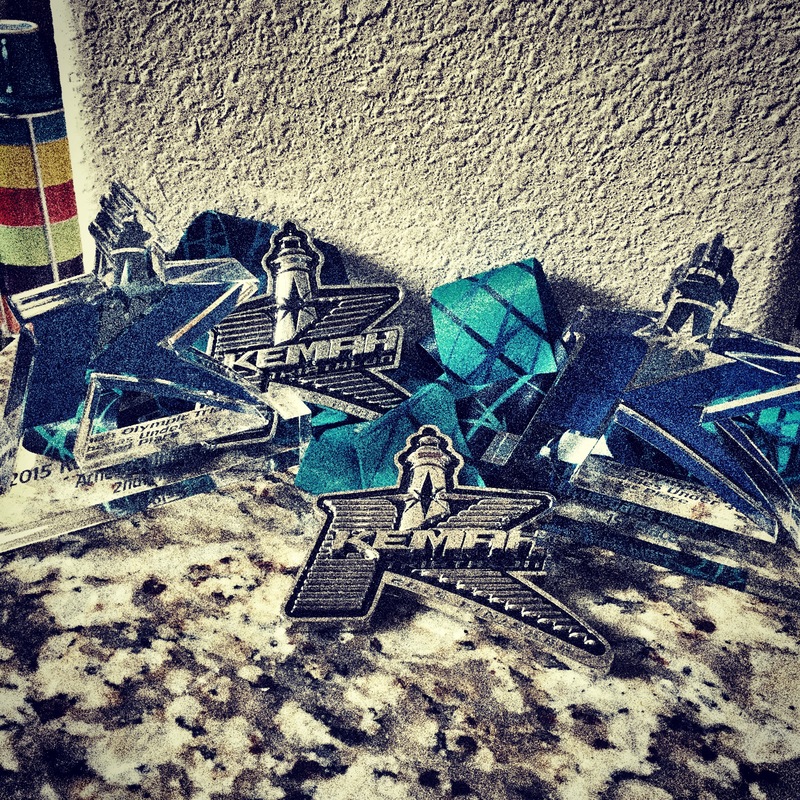 Kemah Triathlon was a great day for Dustin and I… to say I didn’t need a good race was an understatement! I had a terrible race in Puerto Rico and I ended 2014 with a less than impressive race at 5150 Galveston so this was an actual reflection of my training and hard work! 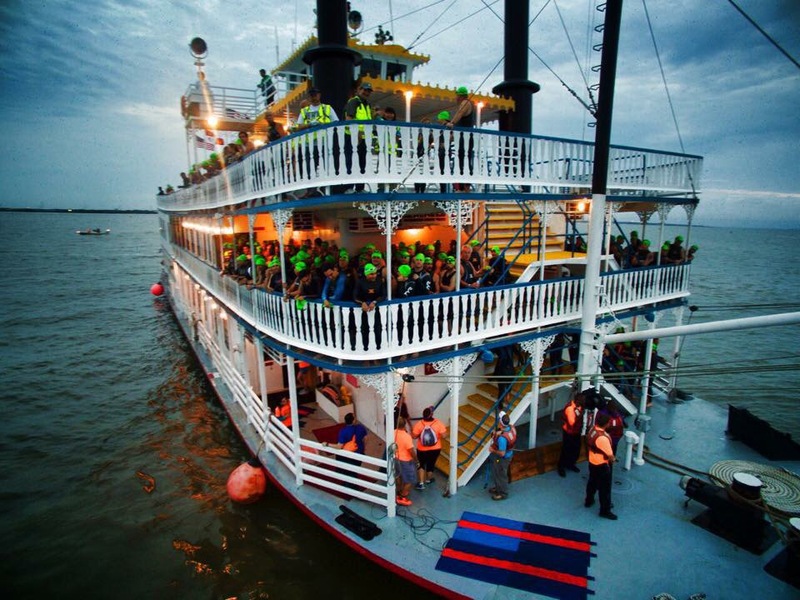 Swim: Dustin and I were assigned to the same boat, The Colonel, a paddle-wheel boat. So we got to the race site early (we live 2 minutes down the road) to make sure we got a good spot on the boat because I wanted to jump off early. I get sea sick pretty easily anymore so the goal was to keep me looking inside the boat until I had to jump! I was starting to feel it before we were getting off the boat so thank goodness I got off when I did [nobody wants to be that girl chumming]. Once you jumped off, you headed to shore. Boueys on the right and a drone occasionally overhead. The water was high 60s, low 70s and relatively calm for the bay. Wetsuit legal but I opted for my Aquasphere swim skin… I just feel more comfortable in it. We got to shore and had a line to get out, the water is pretty shallow for around the last 25 yards or so. The ramp wasn’t too slick and they had cleaned off the algae that was there the week before [so thankful for that]. 1.08 miles in 47.24.7 [boats shifted which is pretty normal with any current] – the swim’s getting better. T1: I ran the block and a half, decided no glasses and headed out. I wish people would stay to the right if they were going to walk their bikes… I make up a lot of time in transitions so I tend to sound a little bitchy when yelling on your left or get out of the way… sorry, I’m not sorry. 3:03.2 – rank 1 out of all Athenas. Bike: I felt good on the bike the whole time. I was rolling strong down 146 and when I hit the second bridge my entire bike froze up… I think something got caught somewhere. When I stopped, I couldn’t find it but I adjusted the brake pad just a bit and then caught everyone a second time that passed me while I was stopped… it was flat and fast and I will say that the wind cooperated for the most part. On the way back into Kemah, there was a slight headwind (which is unusual) but you couldn’t really notice it. The roads were wet but not really slick and we did get a little bit of rain out there. My Garmin said I averaged 17.4, official race time said I averaged 17.0. That’s an improvement over the sprint last year, I’ll take it! T2: Got in, adjusted my hair, put my SBR Sports visor on, Newton’s on and took off… I figured since my stuff was already in a puddle, it didn’t much matter how neat everything was. 2:02.1. 1st Athena out. I wasn’t happy with this transition, I need to do better in T2. Run: It was awesome towards the end! I started out tight and it took a while for me to get comfortable in my breathing… this past week I was told I have Exercise Induced Asthma so I’ve been given an inhaler to use. It took me 3 miles to get my breathing under control but I was happy to be running in the 13s… the second loop though was A-MAZ-ING! I just kept getting more and more comfortable! Maybe it was the rain, the downpour, or maybe the thunder inspired me. I found my pace and when I saw Dustin about a mile and a half in on the loop, I said passing him with a smile “12:20s! !” I couldn’t believe it! I just kept picking up the pace and ended averaging 12:51… I’ve been fighting with my run for what seems like ever and I finally found a happy pace! Overall: 3:39.48… a PR post knee injury and an almost PR from pre knee injury! I’ll have it this fall! 😉 2nd place Athena 39 & under.